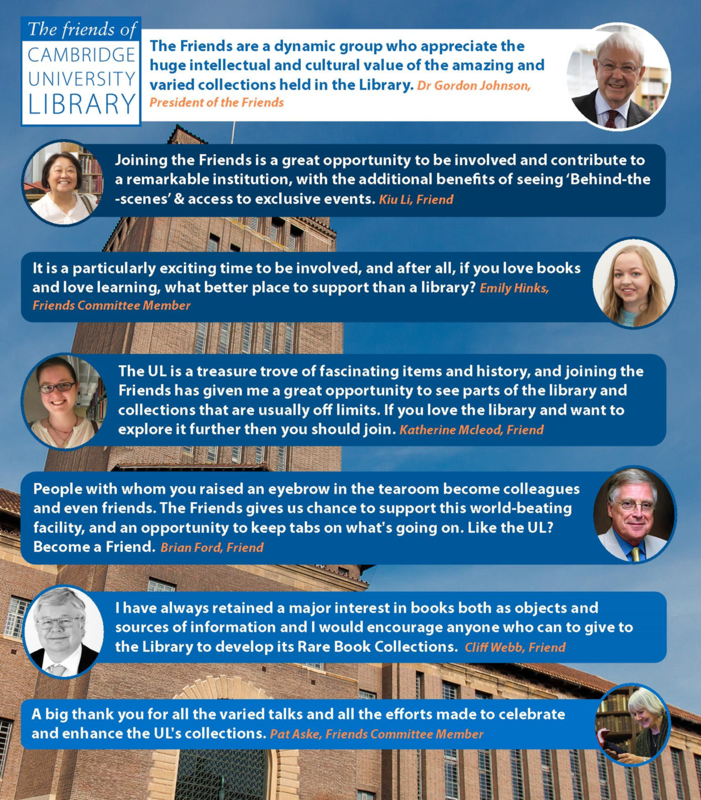 The Friends are the Library’s largest community of supporters and are open to anyone who loves the Library, wants to give something back, or contribute to its collections and heritage. With a growing Digital Library and collection of online resources, you can enjoy the Library from anywhere in the world. 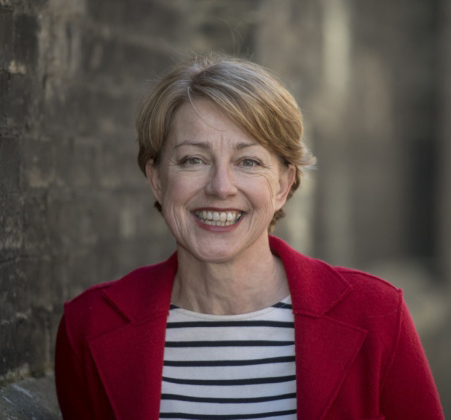 As a Friend you will have the opportunity to contribute to the acquisition of collections that the Library could not otherwise obtain; helping the Library to safeguard them for today and tomorrow and to share them world-wide through the Cambridge Digital Library. To thank you for your support the Library offers Friends a special programme of events and benefits, giving you the chance to see behind the scenes and enjoy and learn about the Library's collections. With a diverse and dynamic community of members there are plenty of opportunities to give your support while getting involved with this remarkable institution. You can give membership as a gift by filling in the Friends membership form or contacting us.